Primed MDF - Ready to Paint! Alexandria Moulding PVC Trim 7/32 In. x 1-1/2 In. x 8 Ft.
Let your imagination go wild! Due to its simplest profile pattern a wide variety of design ideas and applications can be dreamt up. Crafts, toys, trellis and lattice work can all be created from this basic component. 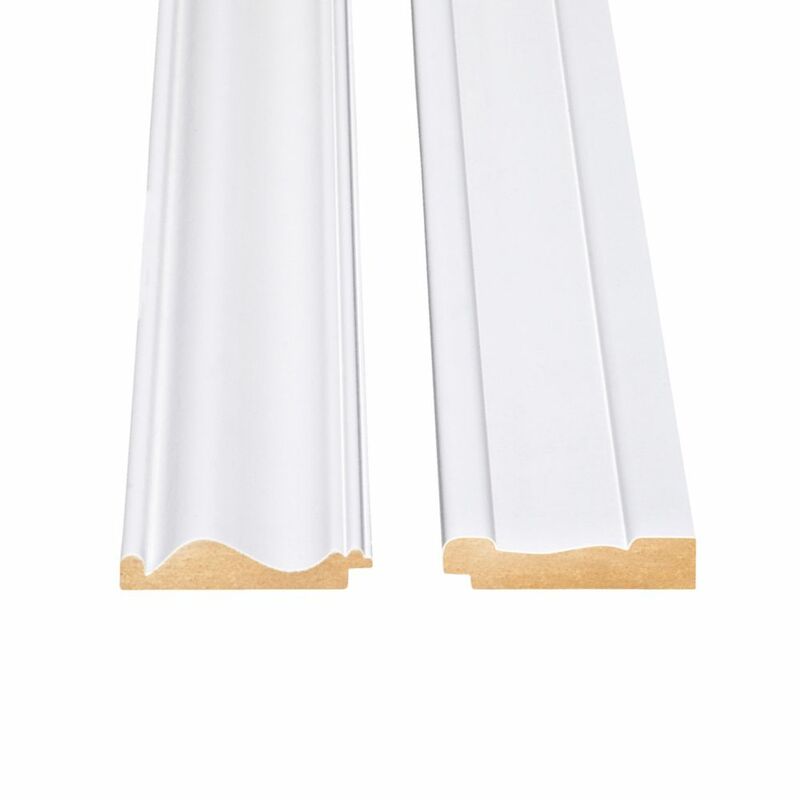 These S4S mouldings that are small, versatile, and most commonly have plain profiles. Alexandria Moulding Solid Clear Pine Trim 5/16 In. x 1-1/16 In. x 7 Ft. Create an attractive border around your backyard playground while making it safer for your kids. Use it to contain sand or any other playground base material. These Frame It All Eco-Friendly Composite Wood Grain Timbers are manufactured from 60% recycled post consumer plastic and 40% natural fibers. They will never rot, splinter or warp from exposure to rain, moisture or winter frost and come with a limited lifetime warranty. Globe Electric 90013 4 Inch Swivel Recessed Lighting Kit, Dark Bronze Finish. Adjustable swivel feature to direct light where needed based on your desired preference. Full kit including: trim, housing/can, patented clip system and electrical box. Quick and Easy Installation: includes extra-wide, patented clips that grip uneven holes and surfaces to secure effortlessly into position. Superior fit for a smarter, faster installation. Creates mood lighting and dramatic effects to highlight decorative elements, ideal for use in living rooms, bedrooms and dining rooms. Requires one MR16 GU10 Base 50W bulb (sold separately). 5 year limited product warranty. Chair Rail And Base Kit - For 1/4 In. Thick Beadboard Strips With an ancestry dating back to 19th century Victorian England, this classic wainscot design has outlived many other stylish fads. Beadboard wainscot is traditionally used in foyers, bathrooms, hallways and less formal gathering spaces of primary residences, cottages, and vacation homes. This easy to install wainscot system recreates this authentic look and feel in as little as several hours. Perfect for a weekend project idea! Chair Rail And Base Kit - For 1/4 In. Thick Beadboard Strips is rated 5.0 out of 5 by 1. Rated 5 out of 5 by daveed62 from this product was absolutely what i wanted. this product was absolutely what i wanted.